Telia Review 2019: Is Telia a Good Hosting? Telia looks like the “Jack of all trades” of the Estonian IT industry. Besides their mainstay offerings of mobile, 4G internet, and TV, they also offer domain registration, web hosting, cloud computing, and a unified communication environment. Telia is a leading Estonian telecommunications company which – in addition to its mobile and 4G connectivity solutions – also provides web-related services such as domain registration, premium web hosting, and email hosting. Their website is in English, Russian, and Estonian, although what you see depends on which language you choose. Telia gives its customers access to the Voog multilingual website builder, which allows them to build functional websites using a drag-and-drop interface and over a dozen modern templates. You should be able to work comfortably with the small number of templates, and you can customize them with your own images. This website builder also has a versatile blog option that lets you create posts and set publishing dates in the same way as you would with WordPress. No customer in their right mind would want to host their website on a platform that doesn’t offer backup and recovery options, and with Telia, there’s little to worry about because they do daily backups that are retained for seven days. You can recover all your important information or files in the event of accidental loss or deletion. Telia’s packages are e-commerce-friendly. You can easily build an e-shop with product listings, an integrated shopping cart, and a payment gateway secured with premium SSL. Telia’s virtual servers come with enough features and storage to host just about any kind of website. I think their pricing is fair and well within the market range, and you can get an additional 1GB storage for a reasonable fee. Monthly data recovery from their backups is slightly expensive, but it’s worthwhile for any business that runs mission-critical websites. 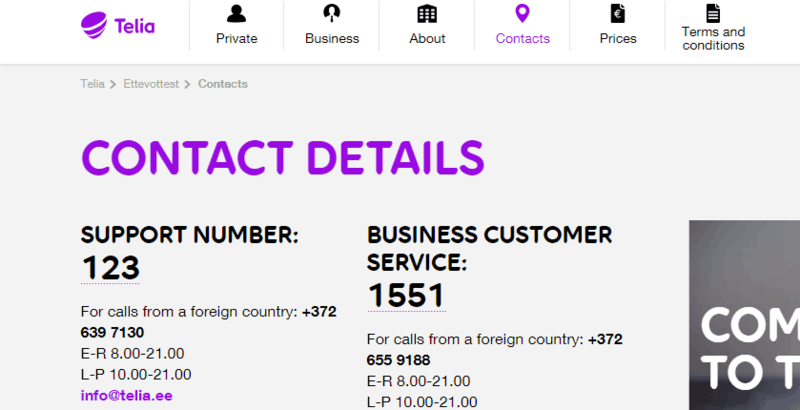 I have every reason to believe that Telia’s support is available in Russian, English, and Estonian, although I haven’t put this into practice via live chat. Telephone support is also available between 8.00am and 9.00pm (GMT+2), and you can also email the company or contact them via an online contact form. There is no knowledge base, as far as I know, and no FAQs, but I believe that the support team should be able to help you with any hosting issues. Telia’s hosting service appears to be an adjunct to their main business, but it should do the job for Estonian and EU customers. 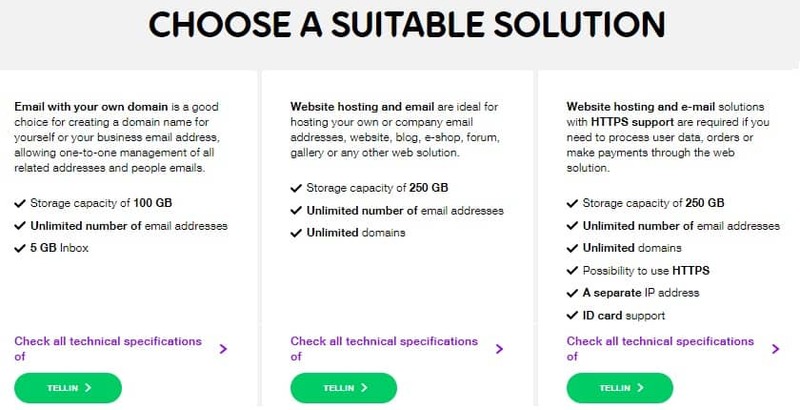 Wondering how Telia stacks up against other Web Hosting companies? Enter any other Web Hosting company and we will give you a side-by-side comparison.